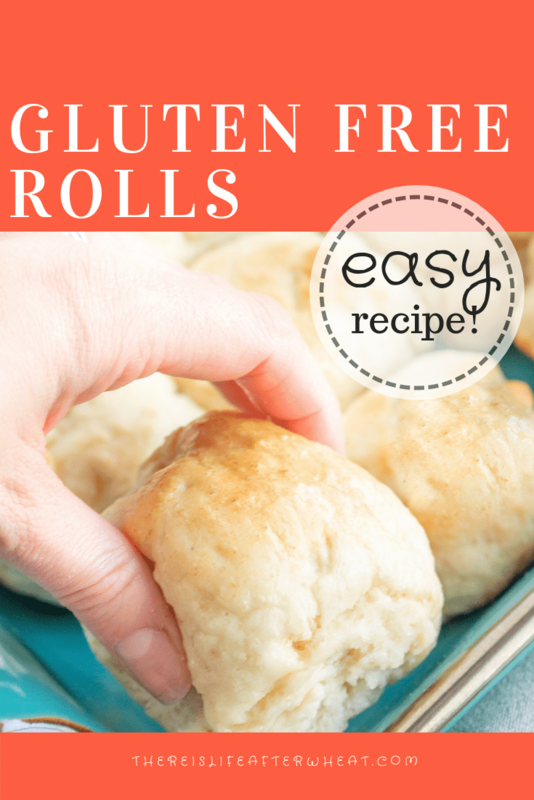 These gluten free rolls are perfectly soft, fluffy and so easy to make! Ready in just one hour, they are the perfect addition to any meal and will be enjoyed by everyone, gluten-eaters included! Dairy free option included. This post contains affiliate links. If you purchase something through these links, Life After Wheat will receive a small commission at no additional cost to you. See full disclosure here. Rolls. They are the perfect addition to any meal and are one of those comfort foods that we all love to enjoy. After we started eating gluten free 7 years ago, we set out to make gluten free rolls that really tasted good. They had to be soft and fluffy and have a buttery taste. Our first few attempts at making gluten free rolls were…er…special. They might have resembled hockey pucks more than a roll and they also might have ended up in the trash. We kept trying, making tweaks and adjustments over the years until finally we cracked the code. We developed our Gluten Free Crescent Rolls and used that recipe for YEARS! It’s a great recipe that we still make often and works great for recipes like cinnamon rolls, pigs-in-a-blanket, and even pizza. Get our Gluten Free Crescent Roll Recipe Here! But sometimes you just want a regular, tall and fluffy dinner roll. One that you can pull apart and slather with butter or make into a sandwich with leftover Thanksgiving turkey. Ya know? 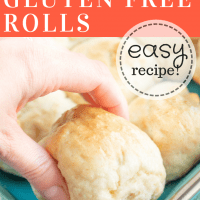 So we decided that this year we wanted to develop a recipe and publish for gluten free rolls before the holidays hit, so that you can enjoy these rolls too if you’re looking for the same thing. And here it is. As a base, we used Grandma’s dinner roll recipe that has been made every Thanksgiving for as long as we can remember. They are the best rolls you’ll ever eat. They’re absolutely perfect with a bowl of Kale and Quinoa Chili or served alongside these Instant Pot Mashed Potatoes and creamy Gluten Free Gravy. 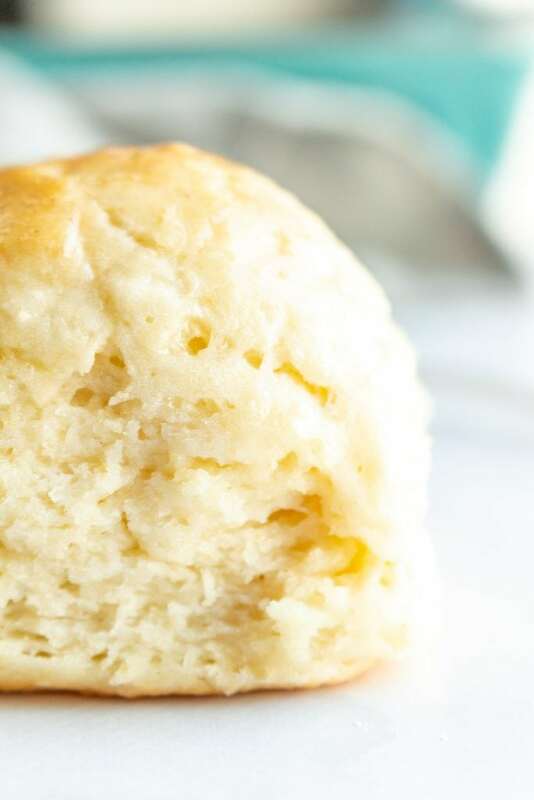 We made a few tweaks to the original recipe so that we would still achieve all that fluffy and buttery goodness while using a gluten free flour. And they are GOOD. 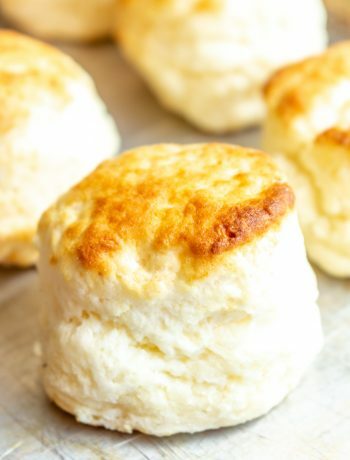 No funky taste, no grittiness, perfectly light and fluffy and buttery. The only difference, really, is that these rolls take only 1 hour to make. With gluten free yeast breads and rolls, you don’t need a second rise. So mix up the dough, shape, rise, and bake. BAM. ready in an hour flat. Be sure to read the directions closely as we include tips and tricks to help make this recipe a success. Keep in mind that we live at an altitude of about 4,000 feet, so you might need to adjust water or flour amounts a smidge based on your altitude. MAKING THIS RECIPE??? 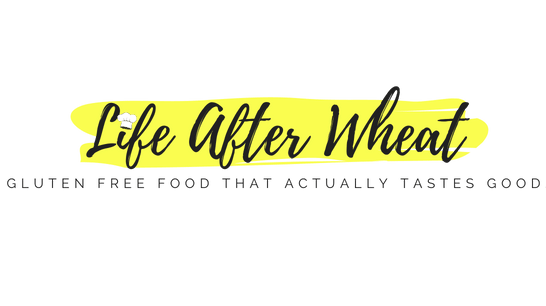 snap a photo, and tag @LifeAfterWheat on social media – we love seeing what you make! Add all ingredients to the bowl of a stand mixer in order listed. Add the salt and sugar on opposite sides of the bowl. Mix on low until ingredients start to combine, then on medium for 3 minutes. The mixture will be thick to start and then soften after a minute or so. The dough should be sticky and softer than regular roll dough, more like a sticky cookie dough. If it is too dry (not sticky, easily handled, or crumbly), add a tablespoon or two of water. Likewise, if it is too wet (more like banana bread, not able to be formed or handled at all in the next step), add a tablespoon or two of flour. 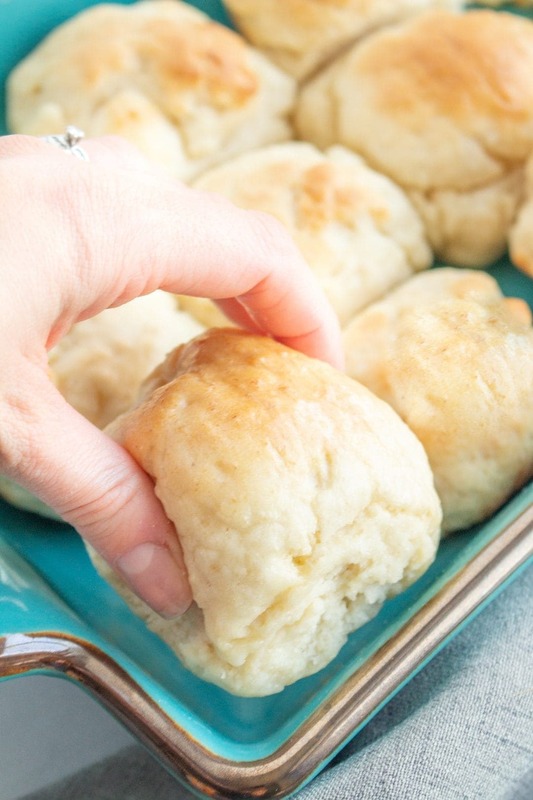 Because the dough is sticky, you'll want to coat your hands in oil so you can easily handle it. Divide the dough into 12 equal pieces and form into balls with oiled hands. You might need to re-apply oil a few times. Place the balls of dough in a 9X13" baking pan and cover the pan with plastic wrap or a light towel. Allow to rise in a warm location until nearly doubled in size. I heat the oven to 120 degrees, then turn it off before putting the rolls in to rise. You can also turn the oven on to 350 to preheat and set the pan of rolls on top of the stove. This rising period tends to be fairly quick with gluten free rolls, so watch them closely - checking after 15-20 minutes. When the rolls have almost doubled in size, preheat the oven to 350 degrees F and bake for 17-20 minutes, until golden brown on top and done inside. If you omitted the dry milk powder, the rolls might not brown as much so check the inside if they aren't browned by 20 minutes. Remove from the oven and brush with melted butter. These rolls are best served warm but we put the leftovers in a Ziploc bag and they were still soft the next day. This recipe was tested with Better Batter flour. This is one of our favorite blends and works very well for all types of yeast breads and rolls. Other blends that we have tried with different roll recipes in the past (so they should work well with this recipe also) include GF Jules and our homemade flour blend. If using our homemade blend, add an extra 1 tsp of xanthan gum. Thanks for the shout out! This is one of my favorite parts of Thanksgiving…or any day actually! Nothing better than a warm roll! These look amazing! A question for you about the milk powder. My son and I are both gluten and milk intolerant. Is there anything we should use to replace the milk powder? I have wondered that, but haven’t tried it yet! Thanks for the info Cynthia! My first time making these I made them with Bobs red Mill 1to1 flour mix and yeast that I’ve had in my fridge. They didn’t rise very much at all but I baked them anyway , although the texture wasn’t light and fluffy, the flavor was great and I still like them. The next time I made this recipe I followed exactly and they rose beautifully, the texture was great but once they cooled the texture changed to not fluffy and light any longer. That too me isn’t too bad of an issue it’s the flavor of them that I think needs to improve. They don’t have any flavor at all.. I think it’s missing something , the first batch since it didn’t rise at all or very much still had that yeasty flavor which was appetizing. What do you suggest to add so that they have a nice bread flavor. Hi Maria! I actually don’t recommend using Bob’s Red Mill for bread/roll recipes, it doesn’t rise well. I use Better Batter or GF Jules. You can try adding a little extra salt and/or butter, and be sure to butter the rolls when they come out of the oven. How long did the rolls take to rise? That might affect the “yeasty” taste. 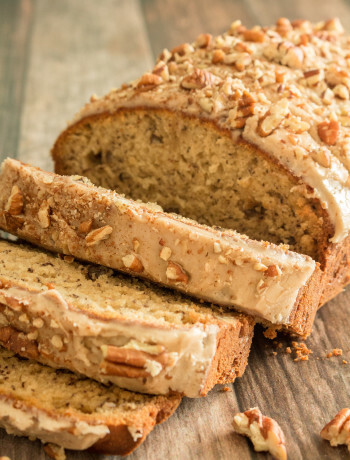 This recipe looks wonderful and I can’t wait to try them! It’s been 10 years since we’ve had delicious yeast rolls. You mention the recipe works well for freezing. 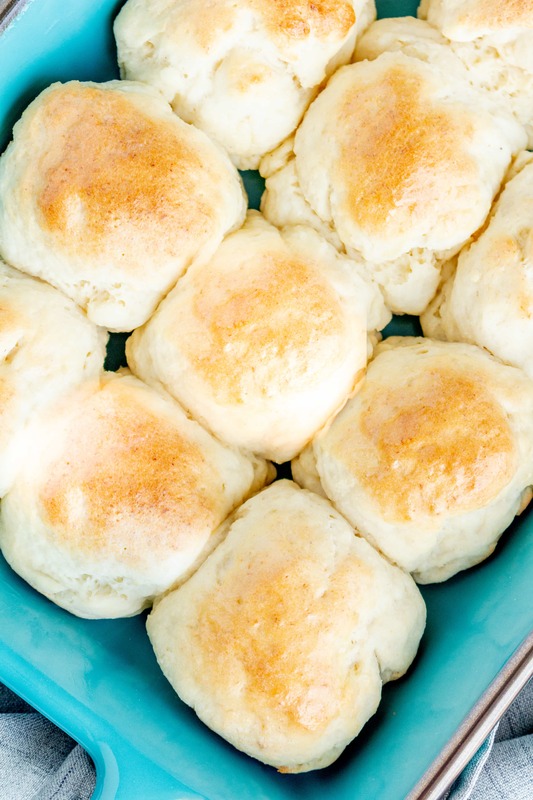 At what point do you freeze the rolls, before or after baking? I can’t eat potatoes is there a substitute I can use or just omit? Can’t wait to try these! 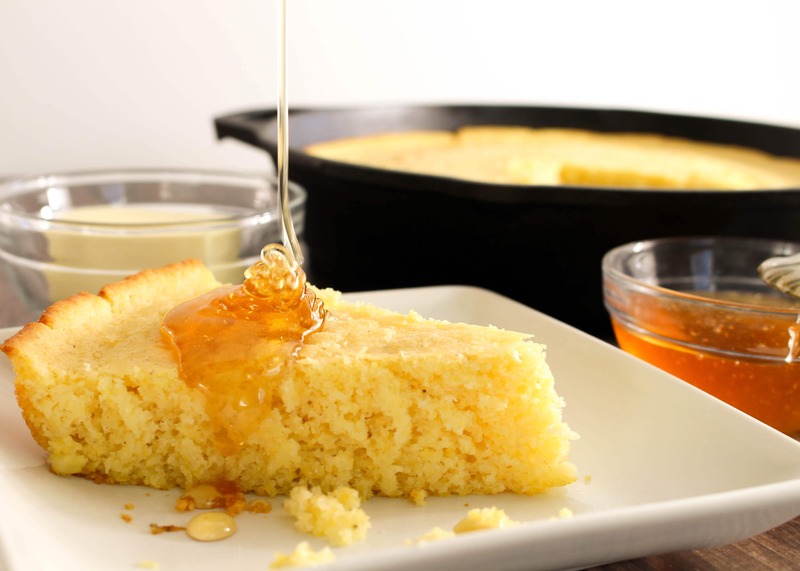 Wondering if I could sub the powdered milk with powdered buttermilk in this recipe? These look delicious! I can’t eat nightshades, do you know of a good substitute for potato flakes? Thanks! Where do you get the potato flakes from? You can find them in any store, they’re just instant mashed potatoes 🙂 Be sure they’re labelled gluten free though! Do you know the total carbs for one roll prepared as directed? Thanks. Would almond or coconut flour work? Hi Julie! No, almond and coconut flour work very differently and wouldn’t work in this recipe. Do you grease your pan before cooking rolls? Yes, I usually use butter but you could use cooking spray as well. Would need to omit the milk – but will get that buttery flavor from a vegan butter to spread on afterward YUM! Hubby is going to be so excited. Where do you find GF yeast…. Yay! Hope you both enjoy it! Most yeast is gluten free, just check the packaging. I made these with Namaste GF Flour blend, and they were BY FAR the best GF rolls I have ever had! I have been GF for almost 15 years, and tried everything, so that’s really saying something! THANK YOU for this recipe! I followed the recipe exactly except with different gf flour! They rose wonderfully but did not cook to be as fluffy and soft as yours pictured! Thoughts on what might have gone wrong? The recipe will turn out differently depending on the gluten free flour you use because they all perform differently. What kind of flour did you use? I kinda wondered if the flour might be part of it! I used Krusteze gf flour cause it’s what I had the most of, but I’m gunna retry with Trader Joe’s or Bella’s! Can this be made dairy free as well? Do you know of a powdered milk that is dairy free and if so can it be used in this recipe? We don’t consume animal products. Do you think a flaxseed egg would work? This recipe looks really good. Thanks. 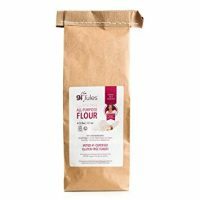 My GF flour blend is similar to yours but does not contain Xanthum gum…how much should I add total? Thanks! I would try 2 1/4 tsp. Those look so perfectly fluffy! Nothing like a fresh roll with slightly melted butter… drool! So glad I found this recipe. I used to make a boxed mix of dinner rolls that I loved (Pillsbury I think) and haven’t been able to find a good recipe since going gf nearly 2.5 yrs ago. I can’t wait to try these. I plan on making them this weekend and if they turn out as good as I think they will, they’ll become a staple in my home. I am in awe of how tender these rolls look! I wonder how well coconut milk powder would work in place of the milk powder rather than omitting it for dairy free? Made these for Christmas Day dinner. THE BEST Gluten Free dinner rolls ever! The search is finally over! Thank you so very much! To others: I suggest to go ahead and use Better Batter or a mock Better Batter flour blend. These are totally worth it! I’d love to make your dinner roll & bread recipes. Would they work with Bob’s RedMill GF baking flour? It’s one if the few I can purchase where we live. Finally a simple & delicious gluten free roll! 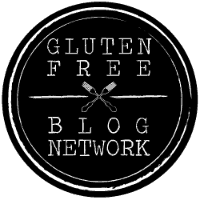 I have tried to make several other gluten free bread recipes & had yet to find one I’d bother with making a second time. They were always too difficult, too crumbly or too hard. These were wonderful….soft & delicious just like I remember a “real” roll tasting. My celiac daughter asked if I could make them every week! Thank you. Holy moly, I’m making this but have had to use a ton more flour so far (it’s been raining for 2 days so very moist environment). Pray for me. Lol! Hi Valerie! Keep in mind the dough is supposed to be VERY wet and sticky! How did they turn out? You were right, and they were a bit dry, but not bad at all. I’m trying again today! I’m so excited to have found this recipe. This is the one thing my son misses the most. Did anyone ever get a chance to try it with powdered coconut milk yet? I made these with powdered milk powder. The texture and fluffiness was great! We could taste the coconut slightly but if you don’t mind that it works very well. I cant believe how soft and fluffy these look! Will need to try very soon! As all gluten free flours have different weights can you give the weight of your 3 cups that will help adjust to a different flour. Does your flour mix have xanthum gum in it. If my mix does not is 1 teaspoon the recommended amount? These sound amazing!! We’re gluten, dairy, egg, and soy free though(along with peanuts and treenuts). I know what butter we can use but do you think we could use an egg replacer or some other egg substitute? I think trying the powder coconut milk would be a good idea too! Can’t wait to try these if I can figure out the egg issue. Thank you so much for sharing the recipe!!! This was my first GF bun recipe and it turned out AMAZING!! WIll be making again and to be honest very often, thank you!!! Oh my gosh, these look like the perfect rolls! I can’t wait to try them! What a lovely fluffy gluten free roll. Looks amazing! These look so fluffy and delicious…I bet they are great dipped in hot stew! Beautiful texture on these rolls. They don’t “look” gf at all. 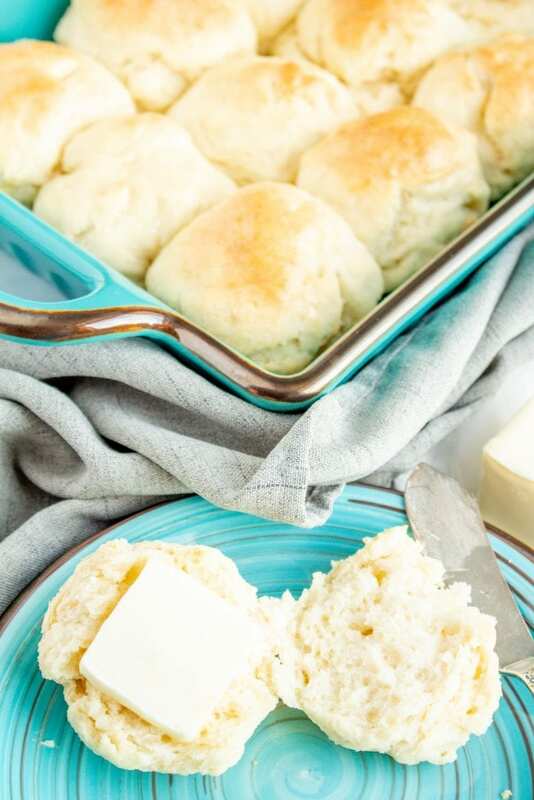 I’m with you about just wanting a roll to split open and slather with butter. We’ Gluten and lectins free because of autism issues. Would cassava flour work? 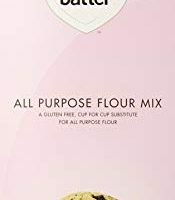 I haven’t tried using cassava flour, so I’m not sure if it would work or not. Can you explain how to do the yeast part? I wasn’t sure if i needed to proof the yeast and take a Tablespoon of the proof yeast? Hi Alexandra, you can just add the dry yeast right into the bowl, no need to proof. I’ve been looking for light and fluffy gf rolls for a long time. These look really good. I can’t wait to try this recipe. Do you know if it will work with flax goo as egg substitute? Don’t think I’ve ever made rolls from scratch before. This looks easy enough that I may just need to try it! Is there a substitute for the sugar? I want to make these for my mom, who is GF and SF, would they work with coconut sugar, swerve, stevia powder? So I made them last night, I used the Premium Gold brand GF all purpose flour(flax and ancient grains). And used coconut sugar instead of regular. They didnt brown(I probably could have toasted them on top with the broiler) , but they came out tasting like wheat dinner rolls! My husband(who refuses to eat gluten free anything) absolutely loved them! Thankyou for sharing this awesome recipe! Is this also wheat free? What does T mean is tablespoon? It’s 10:00 pm and I just took these out of the oven!! Ohhhhhh, are they ever good! I used Jules gf flour, the best as far as I’m concerned. I’m just thrilled that they turned out so good. Thank you for a great recipe! Hi Judy, the dough is supposed to be sticky, gluten free dough does better that way. How do you freeze this recipe? Do you freeze the rolls after you bake them or do you freeze the dough? If you freeze the dough, it is before or after it rises? Just made these and they were very good!! So glad you enjoyed them! I haven’t tried freezing before baking, I always freeze after. Perfect! I’ll have to try that. I am making these this evening and was wondering if I prepare the yeast beforehand and add to bowl? I don’t proof the yeast beforehand, I just add all the ingredients together and mix! Sorry for the confusion Geneva, T stands for tablespoon in all my recipe, tsp for teaspoon. Hope you enjoy the rolls! These rolls look beautiful! I’m always looking for roll recipes to try, I can’t wait to make this one!